I am bushed and wanna cry and go home then…. So there’s nothing to do for m now than sitting on my desk and sharing this recipe with you. It’s not the easiest recipe and you need quite a lot of ingredients but it’s so worth it! I promise! The original recipe is from Attila Hildmann a vegan chef from Turkey but born and raised in Germany. 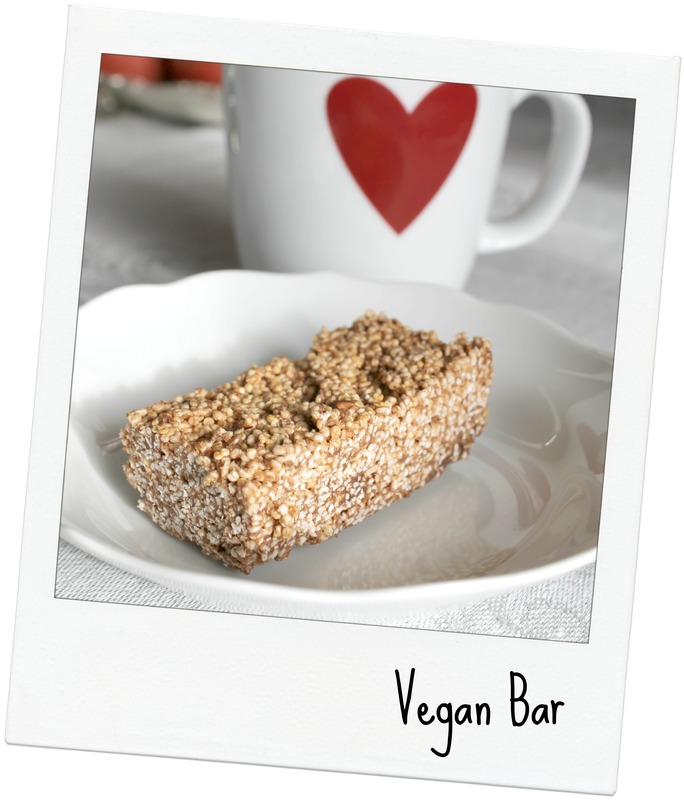 I changed the original recipe a little and to me these bars are divine! I swear you will never believe you actually eat something healthy, free of sugar and refined or processed ingredients. So here you go. Enjoy! Remove it from the baking tray and cut into the desired size. I get 64 bars out of it. So without further ado I make a new bid in the file-wars with my computer. Maybe I’ll cry a little and then clean the office 😛 Or call someone and rant a little! Let’s see! Oh gosh it’s one of those Mondays…. No questions. Just hug me!!! I hope you guys have a lovely Monday and great start to the week! Even with how useful they are, computers can be complete *beeps* My laptop likes to randomly shut down for no apparent reason and then when I start it back up everythings fine. It’s like “Who me? I just wanted to take a quick nap is all. Did ya miss me?” Yes, I missed you AND my excel spreadsheet homework who has disappeared into thin air. I hope your burn is okay! I guess getting burned in the name of food is better than for no reason at all… But I hope you got your coffee worked out eventually. Now as for this recipe…what is cacao butter?! I think maybe you know cocoa butter (apparently it’s the same word in German for cocoa butter and cacao butter) Wikipedia says its also called theobroma oil. It is a pale-yellow, edible vegetable fat extracted from the cocoa bean. It is used to make chocolate.